- "Best actress" in the 2009 Asian Film Awards, for the role Li Mi in "The Equation of Love and Death". - "Best movie actress" in the 2nd Performance Grand Ceremony. - "Best actress" in the 16 Beijing student film festival. - "Artist of the Year" in the 3rd Asia Pacific Network (APN) Awards. - "Best actress" for the role Li Mi in "The Equation of Love and Death", Shanghai Film Critics Association Awards. - "Best actress" in the 9th Chinese Film Media Awards, for the role Li Mi in "The Equation of Love and Death". - "Actress of the Year" in the 3rd Chinese Student Festival Awards. - "Star of the Year" Sohu awards. - "Best supporting actress" in the 26th Hong Kong Film Awards , for the role Qing Nu in "The Banquet". - "Best supporting actress" in The 12th Golden Bauhinia Awards, for the role Qing Nu in "The Banquet". - "Most style actress" in 2007 ELLE Style Awards. - "Best actress" in the 12th Hong Kong Film Critics Society, for the role Sun Na in "Perhaps Love". - "The omnipotent artist" the 13th East Music Awards. - "Best actress" in the 25th Hong Kong Film Awards, for the role Sun Na in "Perhaps Love". - "Most popular actress" in the 13th BeiJing Student Film Festival, for the role Sun Na in "Perhaps Love". -"Best actress" in the 11th Golden Bauhinia Awards, for the role Sun Na in "Perhaps Love". 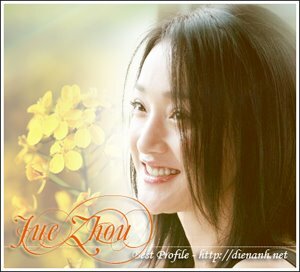 - "Most favorite actress" in 2006 HangZhou Student Film Festival, for the role Sun Na in "Perhaps Love". - "Most promising artist" in Asia in the 11th Korea Pusan International Film Festival. - "Fashion actress" in Mainland China in 2006 China Fashion Awards. - "Most stunning actress" in 2006 MingPao Daily Achievement Awards. - "Best actress" in the 43rd Golden Horse Film Festival, for the role Sun Na in "Perhaps Love". - "Best actress" in the 14th Asia Film Fair Awards. - "The omnipotent female artist" in Asia Pacific Area in 2006 Sprite - China Original Music Pop Charts. - "Best actress" in the 1st China Movie Director Association Concert Awards, for the role Baober in "Baober in Love". - "Most popular female singer" in Mainland China in the 4th Sprite - China Original Music Pop Charts. - "Most popular female singer" in Mainland China in the 7th CCTV-MTV Music Concert Awards. - "Most popular singer" in Mainland China in Asia Pacific Music - 2004 and 2005 yearly awards. - "Best charismatic style artist" in 2005 MTV Super Concert Awards. - "Best female singer" in Mainland China in 2005 Golden Chart Awards. - "Actress of the year" in 2005 Sina Web Concert Awards. - "Most popular female singer" in Mainland China 2005 Sprite - China Original Music Pop Charts. - The song "Watching sea" won gold medal in the 11th China Music Charts. - "Best new singer" in the 10th Global China Music Awards. + "The most charismatic style award" in Mainland China. + Zhou Xun and Chen Kun won "the most charismatic style partners" awards in the silver screen. - "Best new singer" in China Music Charts-The First season. - "Most favorite actress" in the 10th Student Film Awards. - "Most popular new singer - Silver Medal" in the Global Chinese Pop Chart Awards. - The song "Happy Garden" won the most popular song in Mainland China in CCTV-MTV Music Award Concert. - "Best actress" in the 25th Hundred Flowers Awards, for the role Chao Ning Jing in "A Pinwheel without Wind". - "Most promising singer" in Mainland China in 2002 CCTV-MTV Music Award Concert. - The special award - China Music Charts. - "Most favorite actress" for the role Huang Rong in "The Legend of Condor Heroes" - BeiJing TV Station awards. - "Top-Ten artist” in the 2nd China TV Art “Top-Ten” Awards, for the role Xiu He in "Oranges Have Ripen". - "Most promising new artist", France Art Group award. - "Most outstanding new female singer", Sprite - My Choice of Chinese Original Music Pop Charts. - "Most favorite actress" in the 18th China Golden Eagle TV Awards, for the role Princess Tai Ping in "Palace of Desire". - "Best actress" in the 15th Paris International Film Festival, for the role Mu Dan and Mei Mei in "Suzhou River" .